Publications - HOSSEIN AYAZI, Ph.D.
Ayazi, Hossein. “Neoliberalization, Securitization, and the Climate Crisis: A Proposed Framework for Understanding the Crises of Global Forced Migration in the 21st Century,” Migration and Society (Under review). Ayazi, Hossein. “Race and Empire After the Plantation: Transatlantic Racial Liberal Plantation Criticism and Postwar Agricultural Development,” American Quarterly (Under review). Ayazi, Hossein. “‘So God Made a Farmer’: The U.S. Agrarian Imaginary and the Lived/Living Assemblages of Settlement and Empire,” Comparative American Studies (Forthcoming). ​Ayazi, Hossein. “Modern Liberalism and its Fictions.” Book review of Lisa Lowe’s The Intimacies of Four Continents. Qui Parle, no. 1–2 (2016): 207–20. Elsheikh, Elsadig and Hossein Ayazi. 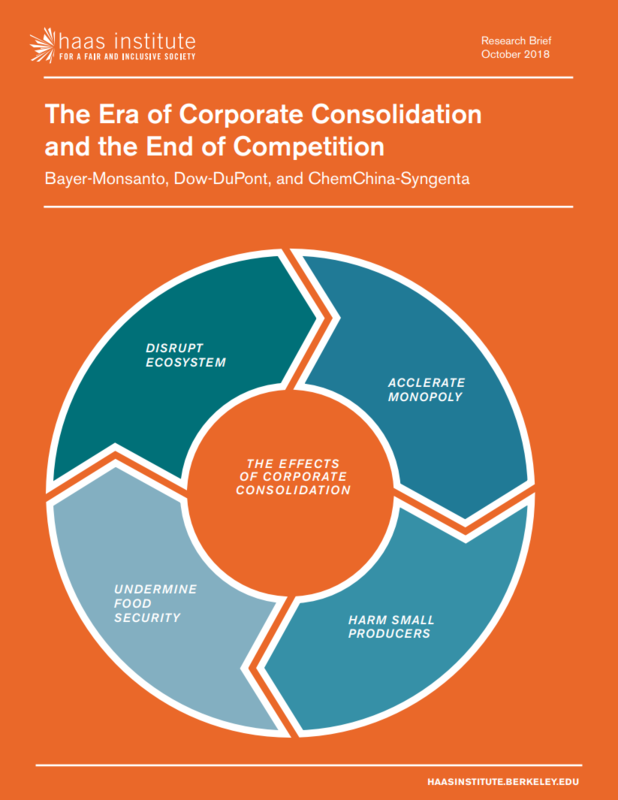 "The Era of Corporate Consolidation and the End of Competition: Bayer-Monsanto, Dow-DuPont, and ChemChina-Syngenta". Berkeley, CA: Haas Institute for a Fair and Inclusive Society. October 2018. Elsheikh, Elsadig and Hossein Ayazi. 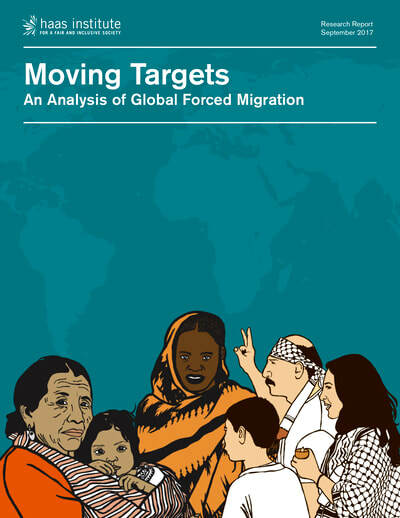 "Moving Targets: An Analysis of Global Forced Migration". Berkeley, CA: Haas Institute for a Fair and Inclusive Society, Summer 2017.
powell, john a., Elsadig Elsheikh, and Hossein Ayazi. 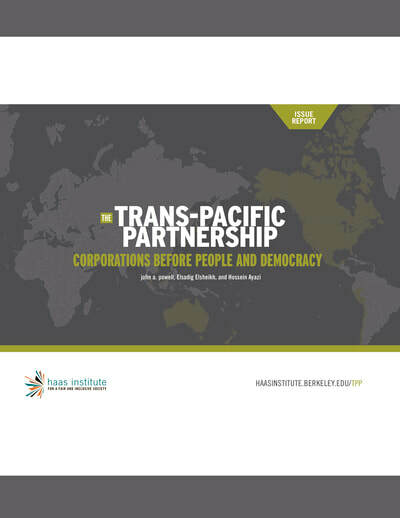 "The Trans-Pacific Partnership: Corporations Before People and Democracy." Berkeley, CA: Haas Institute for a Fair and Inclusive Society, Spring 2016. Ayazi, Hossein and Elsadig Elsheikh. 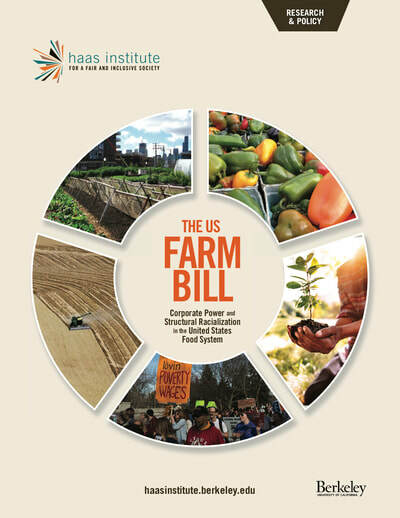 "The U.S. Farm Bill: Corporate Power and Structural Racialization in the United States Food System." Berkeley, CA: Haas Institute for a Fair and Inclusive Society, Fall 2015. Ayazi, Hossein (contributing researcher and author). 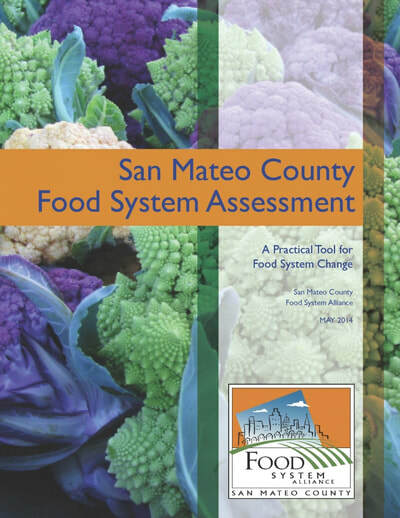 "San Mateo County Food System Assessment." Redwood City, CA: San Mateo County Food System Alliance, May 2014.